London’s Calling is over, where to go next? The fabulous conference took place on Friday. 400 people – the capacity of the evenue – got together to learn tons of new things. The agenda was jam packed with six paralel tracks from morning till late afternoon with lunch in between. All sessions have been recorded and I’m looking forward to check those I missed. I do like Dreamforce, but I probably like these community events even more. Less people means I’m able to chat with some of them and get to know them more. Yes, 400 people is a huge attendence, so dreamOlé with their plan of 150 people, Surf Force which had about 50 people last year or French Touch Dreamin with plan of 250 people might be even better for you (check the full list at SharinPix blog). And they are cheaper as well. The content feels better. Not sure why, the speakers are often the same, but at Dreamforce I feel it is more about marketing and just scratching the surface, here the session are more practical and technical. If you have time just for one check Jodie’s presentation about actions. That was the best presentation I saw in years! Did you know you can use quick actions to „split“ page layout across the page? That you can make conditionally required fields, which are marked with the nice red color so user know at first sight? That you can use images and progress bars to better visualize the information from the record? And much more. I should check all those presentations about GDPR – from David, Yasmine and Conor and Guy. 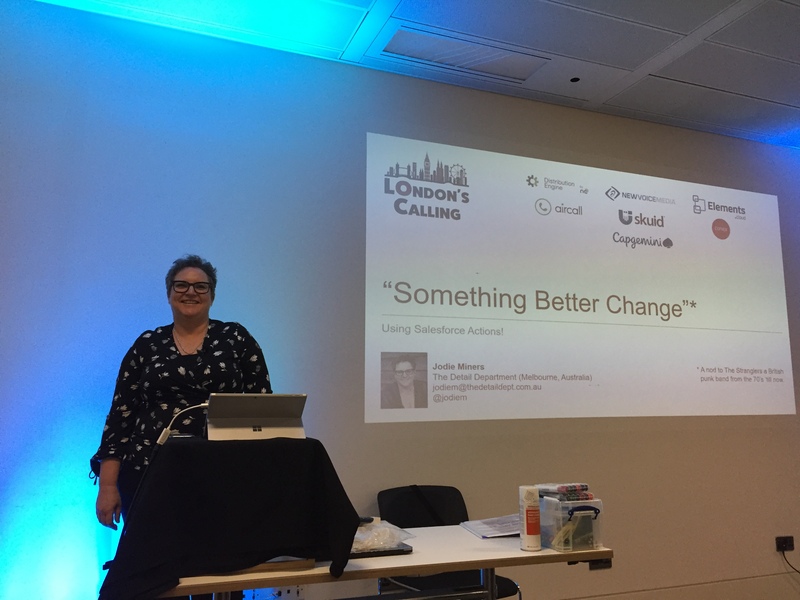 How to be a security superman from Alba – most of us consider Salesforce internal system where we don’t need to care about SOQL injections and XSS attacks that much, but we are wrong. Dynamic charts for printable reports by Sarah should be interesting as well, just lately I got a few questions about it from my clients. How to love Lightnining from Anup promises some great tips, so I need to check that one as well. Salesforce DX is everywhere now-a-days, I did the Trailhead about it but still don’t use it in my daily life. I want to change this and Peter’s presentation will hopefully help. Salesforce’s demos are always super cool and Rene showed us what is behind. In combination with Florian’s presentation about Platform Events we are should think again about all integrations or maybe even triggers. Luckily, these events have sponsors as well. A they do DemoJam, where each of them has 3 minutes to show the product. Of course they don’t go deep dive, but you get better grasp what it is about than just reading their AppExchange profile or waste whole days with installation of different apps and testing them yourself. Aircall and their live demo how to set a new telephony integration and make first call in such short period of time. NewVoiceMedia, who are able to monitor calls and show who speaks more (agent or customer), what is the sentiment of the call or monitor key phrases and whether they have been used. English only right now, other languages will come, of course Czech is somewhere at the end. But this is completely different level of telephony. Ebsta, which is able to automatically update people’s phones and other information based on the email signature – small details but there are moments when I like AI. Document automation is something I’m looking into right now and been greatly surprised, that Conga just announced e-signatures as well. Glad to know that DocuSign isn’t the only player in this field. Elements.cloud as a way how to document your solution. And it can be highly beneficial with the whole GDPR craziness. 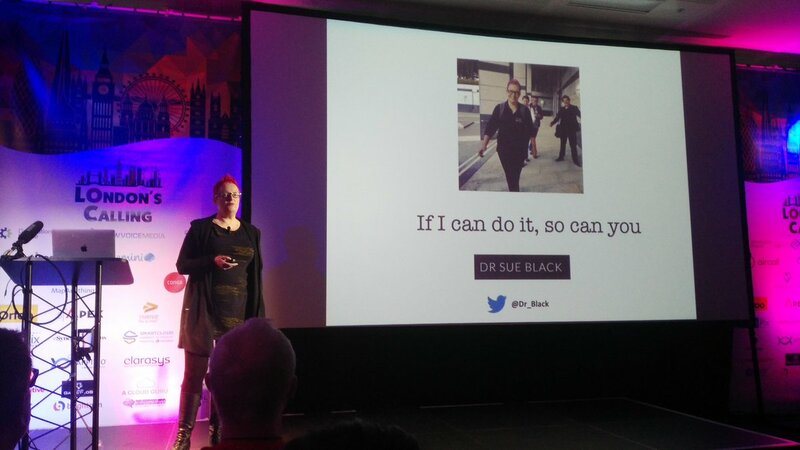 The closing keynote (first time I saw keynote at the end and it is a great idea) by Dr Sue Black Obe was just awesome. To see how someone can check their lives to something way better. That really care about some cause can lead to success (and she wrote a book about it). Life stories are not usually my cup of tea, but this one was awesome. Looks like I need to find at least one day to watch all those recordings 🙂 And really looking forward for next year. In the mean time how to see you elsewhere. PS: Just in case you are interested in my presentation about Federated Search, check it on SlideShare.